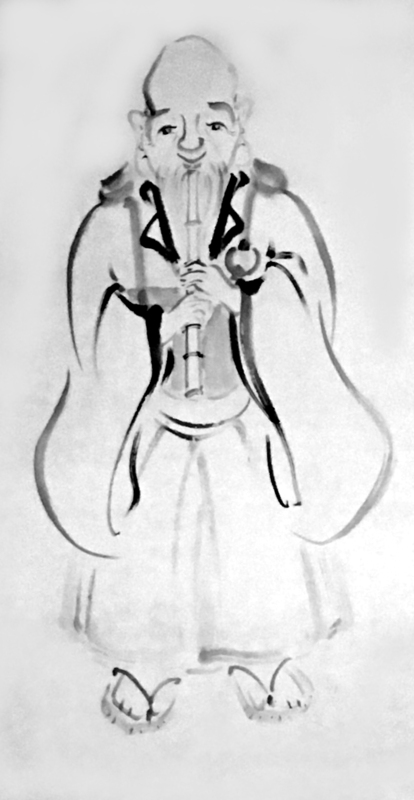 Increase the reputation of the shakuhachi and the use of the shakuhachi in the performing arts. Stimulate the level of play of the shakuhachi. Continue the tradition of playing shakuhachi. Organizing workshops, masterclasses and concerts. Supporting and stimulating tape and video recordings and making them available on various media. Doing research into the different aspects of the shakuhachi or stimulating this type of research. Building and managing an instruments collection. The foundation explicitly does not aim at making profit and has the status of nonprofit cultural institution. Hijiri 聖 means “saint” and refers to the spiritual tradition of the shakuhachi of the monk Fuke and the komuso monks. The Japanese signs mean: 耳 ear, 口 mouth, 王 king. The translation into English is sacred, holy, wise, master or priest.